The season of Lent is soon drawing to a close. We look forward to next Sunday’s solemn celebration of Palm Sunday and with that the beginning of Holy Week. On Palm Sunday the Passion of our Lord will be proclaimed at all Masses. Palm branches will be distributed and blessed at all Masses. The 10:30AM Mass next Sunday begins with a solemn procession from Mercy Park. We invite all those attending the 10:30AM Mass to gather at Mercy Park before Mass. The Gospel of Palm Sunday is proclaimed as we recount Christ’s entry into Jerusalem with a procession. I hope the spring weather cooperates! Lent is truly a special season of the Catholic Church, one. The Church has traditionally divided Lent into two parts in order to help us focus on two separate spiritual realities. The first part of Lent began on Ash Wednesday as we marked “the beginning of the fasting days” and ends on the Saturday before Passion Sunday. The second is known as Passiontide. This focuses upon the sufferings of Christ more than of penitents and catechumens preparing to enter the Church. In other words, the first half of Lent is focused on “us” and our sinfulness. It reminds us of our need for repentance and mercy. We are urged to put on “sackcloth and ashes” and to repent of our sins. We do this with our prayer, fasting and alms giving. This helps us to focus on interior renewal as we prepare our hearts to receive the light of Christ into our lives. It is a time of conversion to Christ as we ask Him to “create a clean heart” in us. 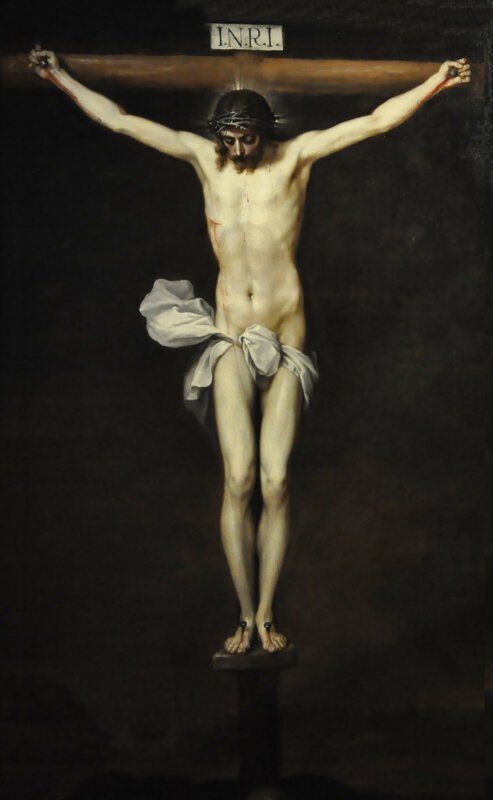 Passiontide turns our gaze onto the suffering of the crucified Christ. We prayerfully enter into his Passion and the events that lead up to his betrayal and death. This helps us to understand the results of our sins and the great love Jesus has for us. It is this love that led our beloved Savior to willingly give up his life for sinners. Passiontide gives each of us an opportunity to meditate more deeply upon the Passion of Christ. We can do this by reading and reflecting upon the Passion accounts in the Gospel. Also we can do this by praying the devotion of the Stations of the Cross. With devotion we gradually prepare our hearts for the great feast of Easter. We anticipate the reality that Jesus Christ conquered sin and death and opened to us the gates of Heaven. We must prepare our hearts for such a wondrous gift and these two parts of Lent help us do exactly that. The Passion of our Lord dominates the solemn days of Passiontide that begin next week. Therefore, the Church has traditionally covered the crucifix with red cloth and covered all statues in violet. We do this to alert us of the special time that we are in. When we walk into church and notice everything is covered, we immediately know that something is different. This also focuses our attention on the words being prayed at Mass. When we listen to the Passion, our senses are allowed to focus on the striking words from the Gospel and truly enter into the scene. Finally, the Church uses veils the crucifix and statues to produce a heightened sense of anticipation for coming glory and joy we celebrate on Easter Sunday. I am away this week preaching the Lenten Mission at Our Lady of Mt. Carmel in Newport Beach, California. Msgr. Cook who preached our Mission last Lent, invited me to return the favor! Please pray for me and for the Mission! Be well. Do good. God Bless.